The Hip and Valley module consists of programs for creating a layout showing the plan view, elevation of vertical plain, elevation of hip or valley rafter and a larger scale detail of the purlin connection. 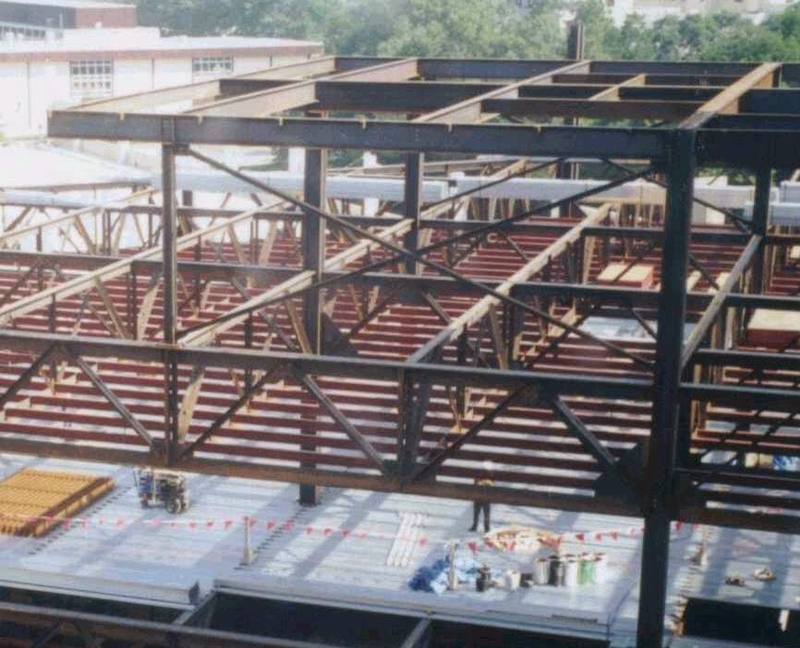 This module is for developing purlin connections where the purlin is level and canted with the flange in the plane of the roof. There are 6 different hip and valley connections included. Three that sit on top of the rafter and three that frame in to the web. All bevels, cuts and dimensions are given with the connection completely detailed. Connections designed with purlin flange parallel to roof plane. Complete layout of purlin and rafter with section views showing detail dimensions of connection. Purlins can be sitting on top of rafter or framing into side. All views drawn to scale for easy placement of purlin connections. Easy selection of member sizes from dialog boxes. Choose C, MC, HP, M, S or W shapes for purlins and HP, M, S or W shapes for rafters. Six different types of connections to choose from for both hip and valley purlins.